The Supreme Court has declared a rights assessment submitted to the UN by the human rights watchdog as unlawful, and has issued an 11-point guideline barring the independent body from communicating with foreign organizations without government oversight. Chief Justice Abdulla Saeed delivered a verdict today, eight months after the apex court charged the Human Rights Commission of the Maldives (HRCM) with treason. 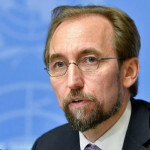 He said the September 2014 report submitted to the UN Human Rights Council was biased, encouraged terrorists and undermined judicial independence in the Maldives. In the report, the HRCM had said the Supreme Court controlled and influenced the lower courts to the detriment of the Maldivian judiciary. Days after the report was publicised, the Supreme Court brought charges against the HRCM under controversial suomoto regulations that allow the apex court to prosecute and pass judgment. The case had remained stalled after just two hearings. The 11-point guideline issued today orders the HRCM to protect unity, peace and order, and uphold Maldivian norms, faith, etiquette and the rule of law. 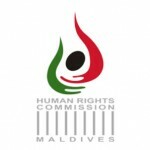 The Supreme Court said the HRCM must not overstep its mandate and ordered the independent body to cooperate with government institutions, communicate with foreign bodies through the relevant government institutions, and protect the Maldives’ reputation. The written verdict was not available at the time of going to press. The UPR studies the human rights record of all 193 UN member states and is aimed at supporting and expanding the protection of human rights. The Maldives was first reviewed in 2010 and underwent a second inspection in May. During the review in Geneva, countries across the world blasted the Maldives for the ‘politicisation of the judiciary’ and raised concern over the Supreme Court’s prosecution of the HRCM. Several countries then recommended that the Maldives ensure impartiality and independence of the judiciary and provide training to judges. The foreign ministry has deferred accepting or rejecting the recommendations, pending “national level consultation.” A decision will be communicated before the 30th session of the human rights council in September or October 2015. 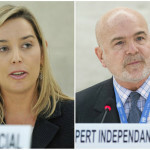 At the second hearing on September 30, 2014, the HRCM had denied charges and said that the commission’s observations on the judiciary were based on reports by the UN Special Rapporteur on Independence of Judges and Lawyers Gabriela Knaul, the International Commission of Jurists and the national chapter of Transparency International. Then-Chief Justice Ahmed Faiz said the judiciary had rejected Knaul’s report as invalid and reprimanded the HRCM for alleged failure to consult the Supreme Court in writing the UPR submission. Faiz and Judge Muthasim Adnan were removed from the seven-member bench in December. The HRCM in March said the Supreme Court’s suomoto case was the biggest challenge the watchdog has faced in its 11-year history. 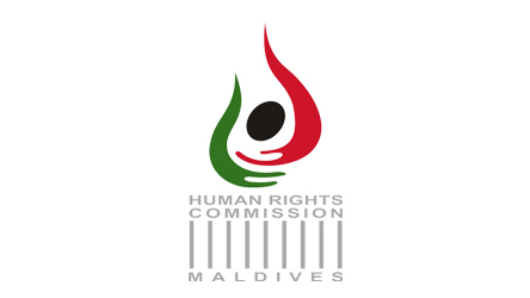 The HRCM Act grants members immunity from prosecution in relation to acts carried out as part of the commission’s duties. Today’s ruling comes as the parliament prepares to appoint three new members to the HRCM as the five-year terms of three members are due to expire in August. The three members are HRCM president Mariyam Azra, vice-president Ahmed Tholal and member Jeehan Mahmood. President Abdulla Yameen has nominated a former ruling party MP to the position. The opposition has accused the president of stacking independent commissions through the ruling-party controlled parliament.